The lame title is in reference to a Washington state tourism slogan from, like, the 1980s. Otherwise, this is just a quiz about the state of Washington. Even Seattle's most beloved early-1990s grunge bands were not as Seattle as they were often made out to be. One member of Pearl Jam, for instance, was not from Washington state, but rather from San Diego (mostly); a member Nirvana was from America's not-other Washington, the DC metro area. Name either of these two interlopers. According to the 1855 Treaty of Neah Bay, the Makah people of the Washington coast were assured the right to conduct what activity? It's one that the Makah paused from the 1920s until, in 1999, re-commencing it with both US government and international advisement and approval (though it's still off limits for non-Makah Americans)? 5, __, 90, 182, 405, 705. What number completes the Washington state-centric list? The Seattle area's first major professional sports franchise of the modern era played its games in Sick's Stadium, at the site of what is now a Home Depot (!). The team lasted only one season (1969) before the dishonorable Bud Selig moved the franchise to Milwaukee. Their name referring to both the region's maritime and aviation heritages, what was the team called? In March 2016, what incorporated co-op announced that it would be moving its headquarters from Kent to Bellevue by the year 2020, in part so that employees could, according to the press release, "better share their love of the outdoors"? 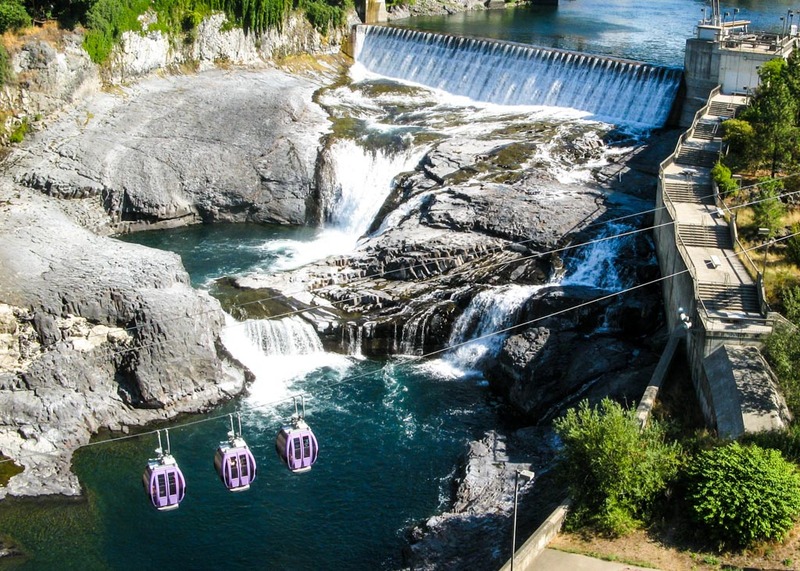 The Spokane Falls gondola (shown in linked image) was originally built for what 1974 event? Seattle had hosted a similar event in 1962. Puget Sound was named after Peter Puget, a Huguenot officer in the Royal Navy who sailed aboard the HMS Discovery when it took part in the area's exploration (by Europeans). Name the ship's captain, the one who actually applied Puget's name to the body of water and whose own name has also been attached to a few locations in the region. Within the state of Washington, Cowlitz, Puyallup, Yakima, Snoqualmie, Snake, and Elwha are all names of what? May 18, 1980 is a date burned deeply in the minds of long-time Washingtonians (and Oregonians -- and some Idahoans and Montanans). What news-making event occurred in Skamania County on that date? Not just a more low-key, less-hyper, and smaller reflection of Seattle, Tacoma is also the birthplace of world-renowned artist Dale Chihuly, whose work has inspired a museum and a pedestrian bridge in the city's downtown area. With what medium does Chihuly primarily work? From its spelling, the sports mascot of The Evergreen State College, located in Olympia, seems like it should be a sub-species of the University of Oregon's mascot. It's not -- it's a very large type of clam. What is The Evergreen State College's mascot?